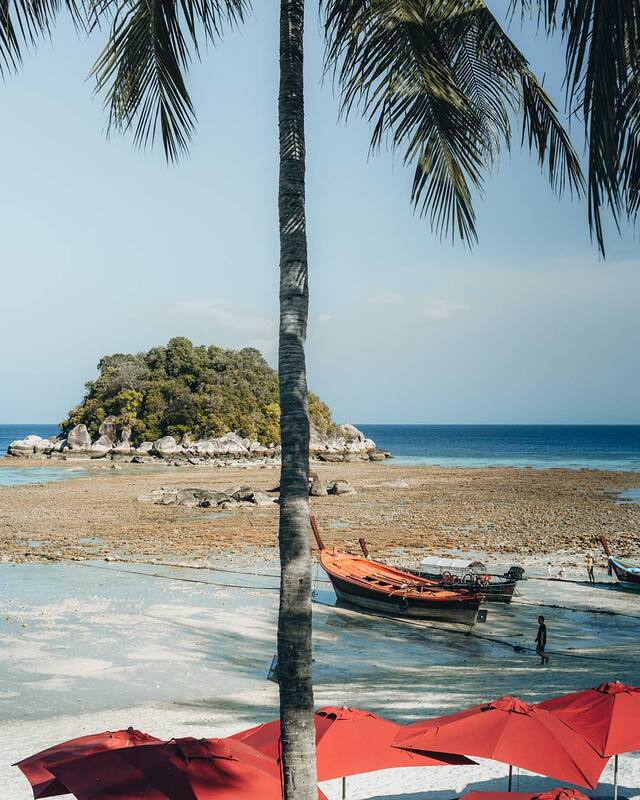 We’ve been to islands in Thailand numerous times over the past decade, both together and separately, and we’ve always gone snorkeling and booked island hopping trips without a second thought. The last time we were on a beach island in Thailand was 3 years ago, which actually isn’t that long ago. 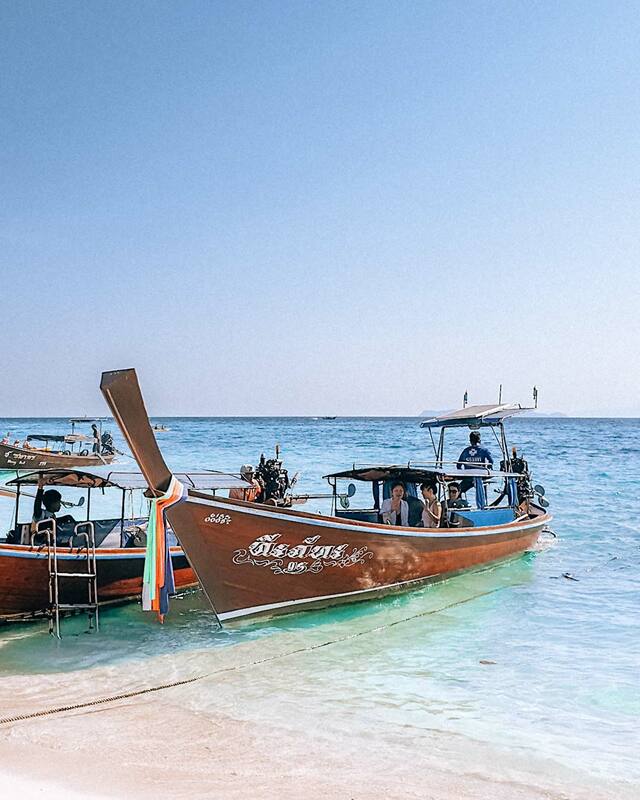 So, this time, as we always do, we booked a boat to take us snorkeling in 4 different spots around Koh Lipe. The changes were alarming! 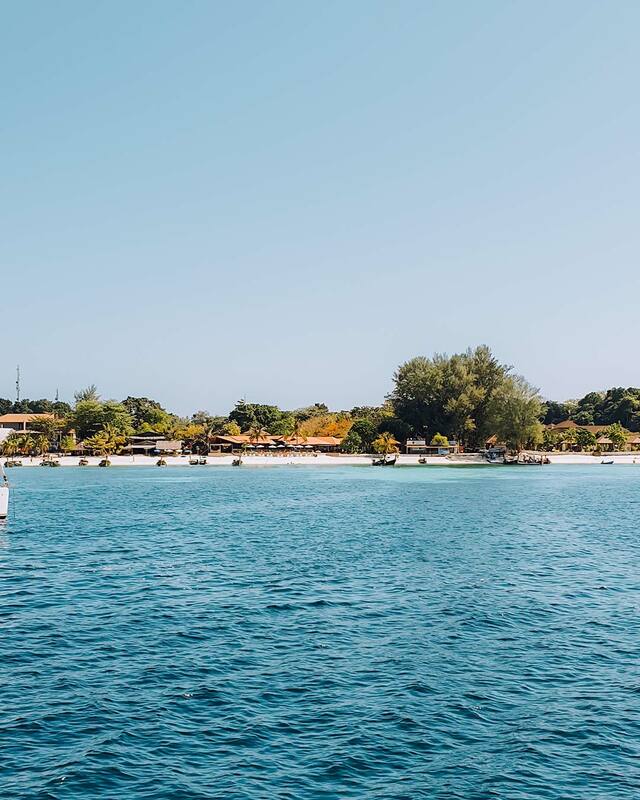 The state of the coral broke our hearts, the overtourism in the area affecting the oceans and marine life, climate change and the jellyfish, the tides and the need to think potential medical care, if needed, on the longtails and what this all means. We wanted to spread as much awareness as we can after our experience (and yes, this is purely based on our observations, experience and some research) on the islands. 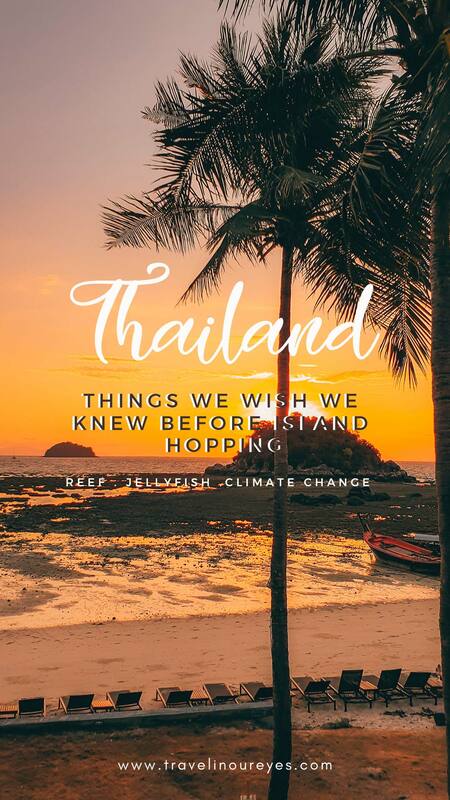 Here are our top 5 things we wished we knew before island hopping and snorkeling in Thailand (and tips & suggestions on how to help). 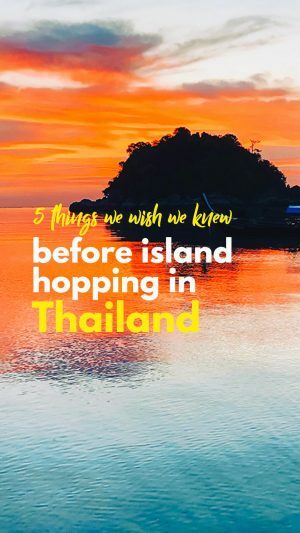 This is definitely one of THE top things we wish we knew before island hopping and snorkeling around the southern part of Thailand. Just maybe 6 years ago or so, we went snorkeling around the islands of Phuket and there were still beautiful marine life, coral and clear waters. This time around, the coral was either terribly damaged or ‘sick’. Even the ‘most beautiful snorkeling spot’ was quite different from what we had seen 6 years ago. 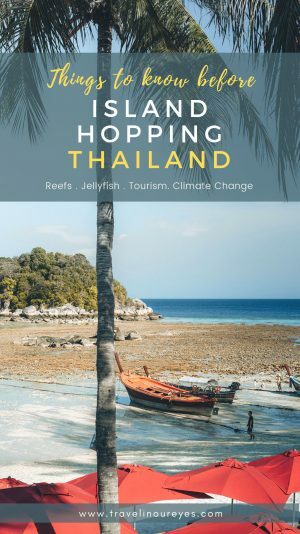 Sadly, overtourism in Thailand is taking a major toll on the marine life around the islands of Thailand. After that snorkel trip, we did a bit of quick research and found that over the past decade, the total area in Thailand experiencing coral reef damage has increased from 30% to 77%! (research from marine ecologist Asst Prof Thon Thamrongnawasawat, sourced from an article in the Bangkok Post. We all love snorkeling (and diving) and honestly will find it incredibly difficult to just stop. So we thought the best way is to try to educate ourselves on how we can prevent further harm. Many types of coral die quickly after being stepped on, touched or even grazed. So be really careful when snorkeling, swimming or kayaking. Try your best not to step on them or ram your kayak over them and never break off coral as a souvenir. We’re also going to look into what sunscreen (and other products) we use and how it can affect marine life. According to a study, an estimated 14,000 tons of sunscreen ended up in the world’s coral reefs in 2015 (source). We found a list of reef-friendly sunscreen here that we are excited to try out. Let us know if you’ve tried any or have any you recommend! And we’ll try our best to spread awareness to others. If you see someone stepping on coral, instead of staring in disdain, disbelief, or yelling at them to ‘get off the coral’, try to take some time to explain and educate them on why they shouldn’t be doing it. We’re really believe that it’s not that people want to cause damage, it’s more likely that they didn’t know. 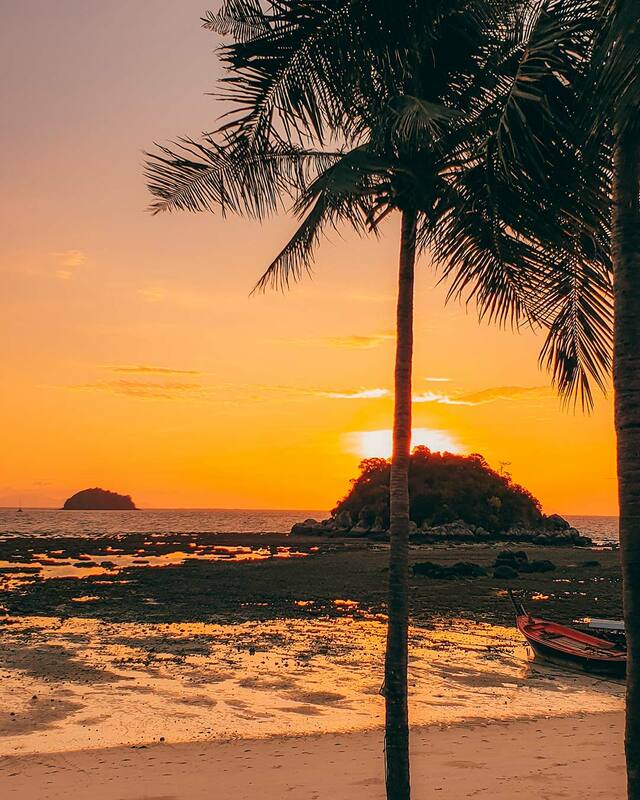 When you think of a beautiful island in Thailand, rubbish isn’t quite the first image that comes to mind. But sadly, you may come across quite a lot of rubbish in the water, which then washes up on the beaches in Thailand (and Southeast Asia). From the same article in the Bangkok Post, A non-profit marine conservation group, Ocean Conservancy has ranked Thailand as the “fourth in the world among countries which produce the most amount of marine waste” (see full article here). And the International Union for Conservation of Nature IUCN stated that plastic waste as a cause for coral diseases. When we visited Koh Lipe 3 years ago, rubbished washed up on shore every single morning. A lot of rubbish. We worked with the ad-hoc trash clean up group every morning during that trip to clean up the beach, rounding up bags and bags of plastic, glass, wood, foliage and other unidentifiable stuff. 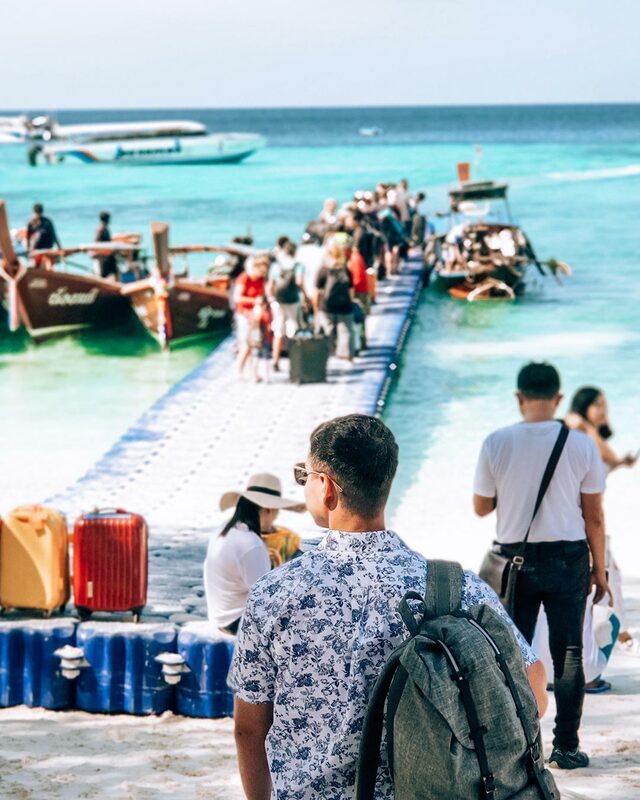 Three years later, we found Koh Lipe to be much cleaner thanks to the efforts of Trash Hero, whose mission is to “create sustainable, community-based projects that remove existing waste, and reduce future waste by inspiring long-term behavior change.” Yay! They arrange a weekly clean up on Koh Lipe every Monday at 10am. All you have to do is show up. Find out more about Trash Hero here. The great news is that there was so much less trash around Koh Lipe compared to 3 years ago. Way to go Trash Hero! We can also look to pick up trash anywhere, anytime. Picking up other people’s trash may seem gross in the beginning, but after a while, you’ll get used to it and you just feel good helping to make the world just a little bit cleaner and environmentally happier. We, as travelers, should try to do as much as we can to not only spread awareness and education but to also be conscious of how much effect we have on the environment. We know accidents happen. Like this scenario: you’re on a boat and you have to get your sunscreen. You open your backpack and the empty water bottle that you kept to throw away at the resort flies out and lands in the water. It’s happened to all of us. Think about these things as well, the accidental ways we add to the pollution in the ocean. 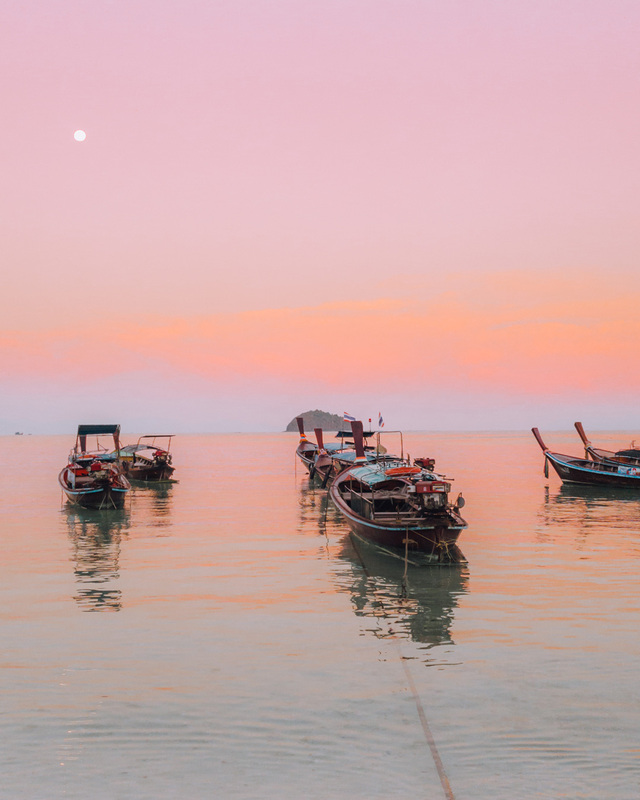 This is probably the second top things we wish we knew about before island hopping and snorkeling around the southern part of Thailand. In the past, you hardly heard of jellyfish in the waters because they usually only came around during the wet season. We knew nothing about jellyfish or jellyfish stings and frankly, it didn’t even occur to us that there would be jellyfish in the water. You just jump in and swim! But this time, even though it was the dry season, one of us was stung by a jellyfish within 10 minutes of snorkeling in the first snorkeling spot! Ouch! And we saw another 3 jellies float by there as well. So much for jellyfish only coming around during the wet season. We were sad to find out that over the past few years, there have been more jellyfish around the islands of Thailand (and Malaysia!) due to the warmer water temperatures (a.k.a. climate change!) and there have been reported warnings of a massive ‘jellyfish invasion’ along the coast of Sabah, Malaysia from March – June 2019. Jellyfish include the ‘less venomous’ jellyfish (we haven’t found the name of them, but it’s the one that stung one of us), box jellyfish and the Portuguese Man-o-war! We had no idea that the not only were the box jellyfish found in these waters but apparently, its’ venom is the deadliest in the world! The ‘less venomous’ jellies can go up to 1 foot in diameter and have long tentacles and has a sting that burns pretty badly for the first few hours up to a day. After that, there wasn’t any pain but a pretty bad rash and skin discoloration lasting about 2 weeks. 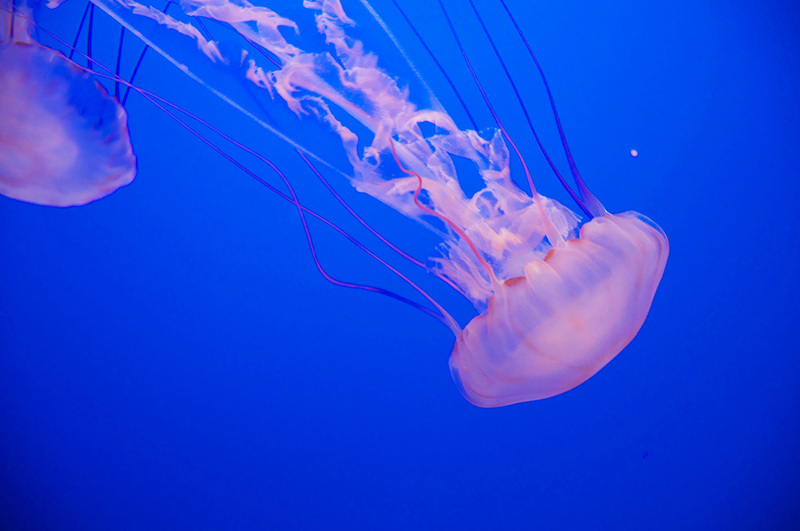 The sting of the box jellyfish can be deadly so be sure to read up about jellyfish if you do plan to snorkel and swim in jellyfish prone waters. Definitely read up about Jellyfish, where they are and ask if there have been any sightings of the box jellyfish around the waters. Some beaches may have stinger nets. If the stinger nets are up, stay within the boundaries and don’t sit on the edge of the nets. Take vinegar with you on the boat, on the beach, everywhere by the water as a precaution. Though, to be honest, from what we’ve read, if you get stung by a box jellyfish, you need immediate emergency medical attention. If you’re snorkeling with kids and worry about jellyfish (or if you just worry about jellyfish in general), you can look into getting stinger suits. Make sure you always get travel insurance! After one of us got stung, we all (there were 4 of us and the boat operator) realized we didn’t know anything about jellyfish and we couldn’t communicate with the boat operator because of the language barrier. Luckily 1 of the 4 had line on the phone and was able to google to get more information. Know that the boat operators are super nice and accommodating and are really good at guessing what you’re trying to say. But they usually don’t understand English so communication, especially in a medical situation may be difficult. There didn’t seem to be a medical kit on board. Apparently, its best to pour vinegar on a jellyfish sting as soon as possible and that didn’t seem available on the boat as well. Bring a basic medical kit and a small bottle of vinegar with you when you go island hopping. Find out from the resort how far the islands and snorkel sites are and know how long it would take to get back to shore. Take down the number of the infirmary of the resort, so you can call them should something happen. Have someone from the resort communicate to the boat operator that if there is an emergency, you may need to borrow his phone. Check to see if your mobile phone has line out in the ocean. If you don’t have line, at least you can borrow the boat operator’s phone. And while we’re talking about staying safe, the undertow is quite strong around some of the islands in Thailand. We’ve seen it in Phuket, and again in Koh Lipe. The tide goes out really quite quickly leaving a large expanse of sand and exposed coral. We were kayaking as the tide was going out, and had to detour to pull a swimmer back to shore. He told us he easily swam out, but when he wanted to get back to shore, he was “swimming in place’ for about 30 minutes, so decided to stop and wait to see if he could hitch a ride back instead. If you snorkel or kayak, take note of low tide times so you can be back without hurting the coral well before the tide is completely out. And if you go swimming, best to be aware of the tide times so you can be prepared for how far to swim out. 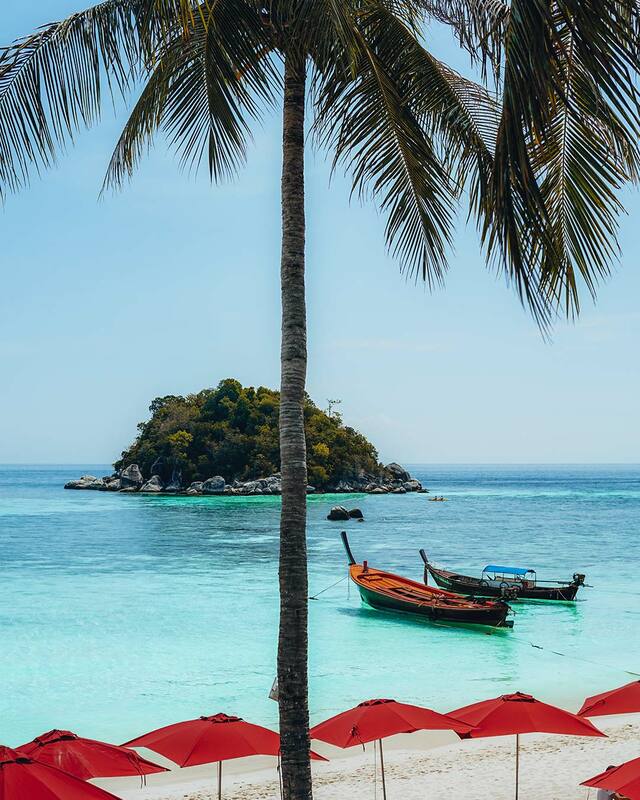 They will place tide and riptide warnings on some beaches in Thailand so keep an eye out for the flag warnings before heading out for a swim. This blog turned out a lot longer than we first anticipated. It went in so many directions. 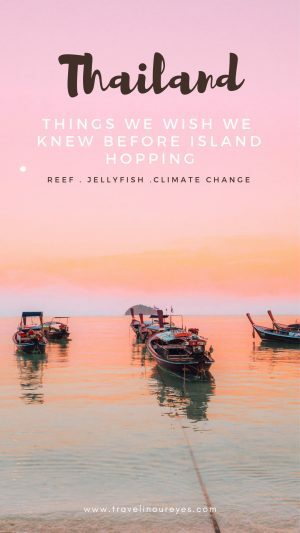 Initially, we wanted to just share the 5 things we wished we knew before island hopping and snorkeling, but then we wanted to also educate and share what we researched and have vowed to do. We hope what we share is helpful and you can interpret and use it in what works best for you. We’re not standing on a high horse or passing any judgments. It’s fully based on our experience, research and opinions and we welcome any helpful tips and information! Idyllic Concept Resort is a boutique resort located on Sunrise Beach overlooking the turquoise waters of the Andaman Sea with a chilled quiet vibe and the stunning sunrise views. Check the latest prices for The Idyllic Concept Resort here.